As the work week begins . . . you have a choice !! You can enter the parking lot of your workplace and release a heavy sigh (as most American workers do every day), or you can wake up and decide what opportunities lay before you and how YOU can be involved to make a difference !! I’ve been working on this myself. It’s easy to sit at a keyboard and jot down words to share. I often wonder if what is written by people is practiced or espoused. Is it great motivational insight only? I can’t really handle that if it is. You see I’ve made a choice myself. I choose to live abundantly vs. die indifferently !! There’s a true reason behind such a statement. Too many people float around every day. Their work is “just a job.” They don’t feel what they do makes a difference. It has to be an incredible burden to painfully slog through the day thinking that what you do has little to no impact. I don’t buy it !! I really don’t. You see, even not making a choice is . . . in itself . 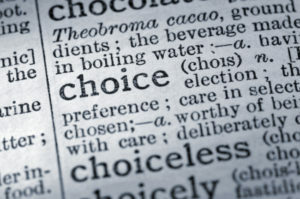 . . a choice. You can’t sit idly by and think you’re not impacting other people. 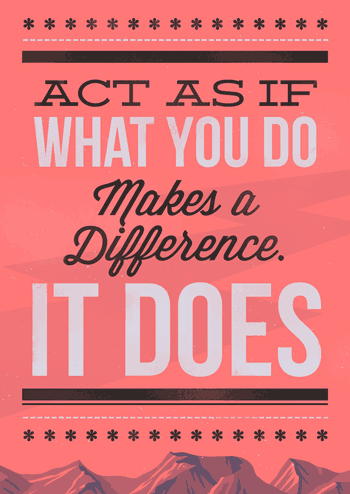 Therefore, you’re making a difference, but maybe not one you intended. I can’t sit by and just waste away thinking that by coasting I won’t make waves. I want to make waves !! I want to be uncomfortable each and every day in what I do in all aspects of my life. There is too much at stake and too many lives to be reached. In HR I hear too many of my peers lamenting what they can’t do. Or, how their organization doesn’t value their contribution or HR itself. I know this happens. 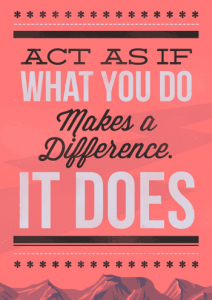 But, what are you doing to make a difference ?? Do you even look to see if that is what you can do ?? We have an incredible opportunity each and every day. We can take the people we work with and allow them to shine, contribute and make waves !! I don’t feel that people want to just “exist” in the workplace. I’m not talking engagement here. I’m talking impact !! Employees want to add value to the Company, not just put their time in. I would challenge anyone who says that this isn’t the case. If it is, or if that is the general vibe in your workplace, then evaluate yourself first to see if you’ve made the choice to change that attitude. We can bring light to an organization !! We don’t have to get stuck in the trenches in the darkness, mire and muck. We should cut through the trenches with vitality, intentionality and strength !! This goes beyond passion. YOU make a difference everyday in all you do !! This isn’t some rah, rah speech. It’s a fact. The question is, what difference are you making ?? It’s a new week. You have a choice . . . Author Steve Browne (Admin)Posted on August 25, 2013 Categories HR Strategy, LeadershipTags Change, Choice, Difference, encouragement, HR, Human Resources, intentional, OHSHRM, Positive, SHRM, workplace5 Comments on You Have A Choice ! !